Nowhere is this more true for me then when it comes to homeschooling. I love to plan. I love to make lists. I love to design tables and grids in Word and Excel (as you will see later!). 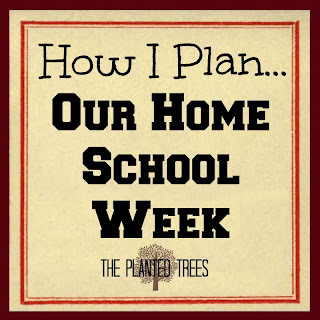 The main reason I love to plan for our homeschool is I don't have to think about it anymore. I plan for the entire year each summer. I lay out the week's work each week. Once I have all of this planning in place, then the teaching and the learning is open-and-go which is what I need. Because once you start your school year...life happens. Sickness, travel, cleaning days, vacations, field trips, and more all begin to intrude. When I have my year planned out, though, it's just a bump in the road, and we keep on trucking! I've been homeschooling Chipette now for three years (four if you count preschool). I've tried many different methods, but the one we are using this year is going to be around for a while. It just works too well for our family. First thing you need to know about this product is that you do NOT want to use it in this form. Comb-binding was invented by someone with a sick sense of humor. Those things NEVER stay threaded through the pages if you use the book or notebook more than five times. Second thing you need to know is that because of the problem with comb binding listed above, you are going to take it apart. Pull the comb binding apart and pull each page and the covers out. DO NOT CUT THE PAGES OUT! You are going to need those slots the comb binding was threaded through to not be torn or cut. Then throw away that awful binding! You are also going to throw away the front cover. Now you are left with the interior pockets and the back cover. Unthread the rubber band closure out of the back cover and throw it away. Put your clear pockets and the back cover into a three ring binder. The holes that the comb binding was threaded through should line up just about perfectly with the three rings. I think on Chipette's notebook I had to use a single hole punch to help with the middle ring, but that was it. Here is a picture of the inside of Chipette's three ring binder with the pockets installed. So now that you have your binder set up, how do you know what to put in it﻿? 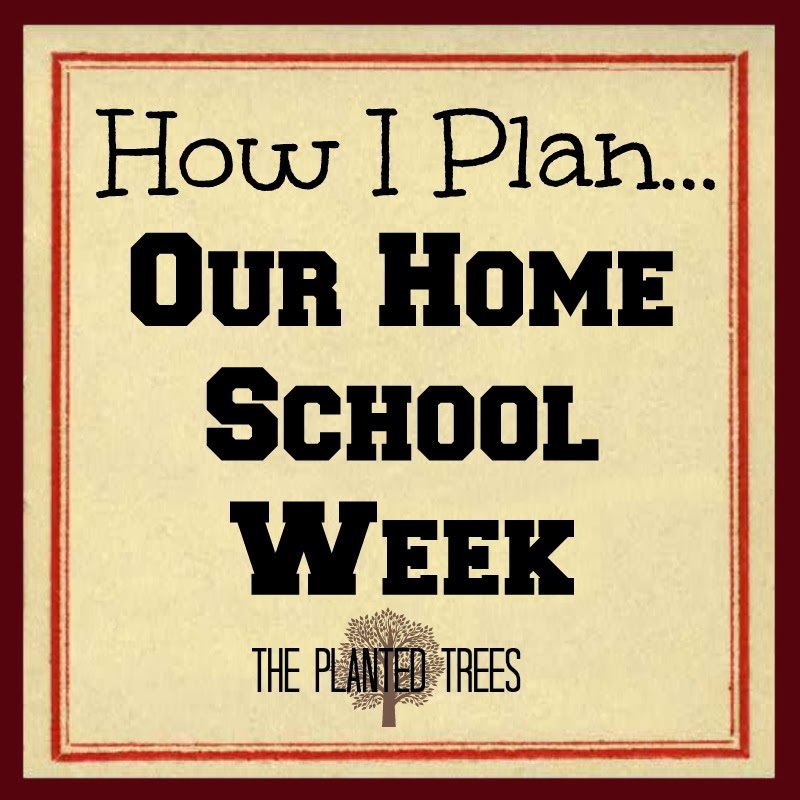 You put any worksheets or thin workbooks that your child will use that week. And by the way, if a workbook has perforated pages, then I am tearing those things OUT! It is so much more difficult for a child, or anyone, to write in a workbook than on a flat piece of paper. The only workbooks I leave together are the ones that are not perforated. Although I've been known to have the bindings cut off (any office supply store will do this for a nominal fee) of those as well, especially if the workbook will NOT lay flat. Once my children are reading well enough to follow instructions from a workbook or worksheet then I start them s-l-o-w-l-y doing some things independently. This year (2nd grade) Chipette does her math worksheets, handwriting/copywork, geography workbook, logic, vocabulary, and phonics on her own. Of course we go over her work together after she has completed it, but she enjoys being a "big girl" and getting to do some things without my help. Plus it helps me know if she really understands what she is doing. For her independent work I use a homeschool planning website called Homeschool Skedtrack. It is free to join and use. It is a web based planning site so there is nothing you have to download onto your computer, which is nice if you are away from home but still doing school because you can pull up all of your assignments from anywhere. I'm not going to go into how it works because there are video tutorials that will teach you how to use Homeschool Skedtrack if you decide to join. You will notice that even her math fact review game on the computer is scheduled on her independent work. Once she has completed the written work she is "rewarded" with getting to play on the computer. While explaining this process sounds extremely complicated and time consuming, it only takes me about 30 minutes to load Chipette and Magpie's binders for the week. Magpie has a binder like Chipette, but no independent work and no checklist, just worksheets and workbooks that she does with me. She LOVES workbooks! I like this system because we can sit down to do school each day and everything we need is at our fingertips already organized and ready to go. If I get in a bind with Monkey or Magpie, I can tell Chipette to grab her independent work until I can get back to the table. #1 What about a worksheet or workbook that you use more than one day of the week? Chipette's geography worksheets fall into this category. A week's worth of work is on two worksheets so I color code what I want her to do. Day One's work is highlighted pink, Day Two is orange, Day Three is yellow, Day Four is blue, and Day Five is green. She knows to only do the problems or questions highlighted that color on that day, then I file the page behind the next day's work at the end of the day. No problem. This system is useful for any worksheets that would have work for one day on one side and work for another day on the other. A red one that says "stop" marks where to end. I just move the sticky tabs to the appropriate places for the next day. So when she reads on her checklist that she has problems to do from her math workbook all she has to do is grab the workbook and it is clearly marked where to start and stop. Hopefully seeing the way I plan our week will inspire you find a system that works for your family. Great system! I love the idea of the pockets! I was planning on having 5 divided areas in a 3 ring binder and place in daily worksheets and/or lined paper (for text book work). And then place a workbox schedule on the front of the binder to keep the kids are track. Thanks for visiting! Erynn's been very supportive of my blogging endeavor, so I'm glad she sent you my way. Feel free to pin away! I love your lesson plan grid...What do you do if you fall behind? Since you have it all planned out for the whole year is it difficult to adjust? What if you don't get to all of your subjects that day/week? I started something like this but found myself constantly adjusting it and couldn't keep up with it. Now I'm attempting it in smaller chunks- one term at a time. How do you make it work for you? I will try to answer your questions the best that I can. First, we homeschool all year, so I have quite a bit more leeway to play catch up then people who school for a set amount of time. Second, I don't stress about getting it all done. I did that last year and I made myself and Chipette miserable. I didn't want our homeschool to be me telling her to hurry and finish her art project so she could do grammar. I try to get it all done in one day, but if we don't then I just start where we finished the day before, even if it is in the middle of our subject list. Third, when I plan our year, I figure out exactly how many days of school we need to complete each month to be finished with all of our work by the end of the school year. I describe that more in the planning the school year post. For example, if I know that I need to school for 15 days that month about halfway through the month, I assess how many days we've already completed. If we are on track, then we just keep going. If we are ahead, I usually finish up the days we need to and then take some days off. If we are behind, then I start squeezing in longer school days or doing a little school on the weekends until we are where we need to be. Maybe that's why we get along so well! Thanks for stopping by, Amy. This is SUPER helpful!!! Thank you for taking the time to write it up! I'm so glad you got something out of it! I've had such a good response to my planning posts, so it makes all of the picture taking and rambling worth it. Thanks for stopping by! My daughter's curriculum just arrived in the mail yesterday afternoon and I've been up since 4:00 a.m. this morning reading through the first parts of each subject. My daughter's in 7th grade and this is our first year diving into homeschool. Everything you wrote was really helpful in getting me started with the planning process. I even created an account in Skedtrack. I'll be repinning this! Thanks a ton! You are so welcome! Have a great year and enjoy this age with your daughter. I used to teach 8th grade and loved it. Blessings to you and your family. Totally want to use this system! It's great. Went shopping tonight, all over the place, and can not find the 6 or 8 or 12 pocket folders. Aack! I did find one at OfficeMax but it doesn't have the extra pocket for the index card on the divider pocket. Let me know if you see them anywhere! Thanks for posting! I found mine at Wal-Mart last year during the back to school sales in August. If I find any, I will let you know. Wow, these are great ideas. I could tell by reading your blog our brains are wired the same way. Type A OCD all day long, lol. But I don't like Homeschool Skedtrack. I have used it for two years and it drives me nuts. The hour requirements and the assignments and due dates I can't handle it I have to find something else. LOL! I like to call it "prepared"...but your assessment is correct as well. I make Skedtrack work for me by basically putting in lots of hours, a year long school year, and ignore the dates. Those flashing red messages about change your hours to match the assignments you have left, I just ignore. I really like it because 1) it's free, 2) it automatically moves assignments to the next scheduled time, 3) I can fit all of my daughter's assignments for the entire year into it, and 4) did I mention it's free? For my own personal lesson plans for both kids, I am having a customized planner made this year just the way I want it. The kids will keep using Skedtrack for their individual assignments. Oh. my. goodness. Seriously - wow. I am in awe that God made people this organized! (I guess I shouldn't be too surprised since my husband and mother-in-law are two of them - I'm just amazed b/c I'm not really!) Wow. Serously, you are totally invited over here to get me organized. I'll cook dinner while you organize my life. Thanks for these ideas! I wish I could! I would love to organize homeschools as a job!